Greece has only now exchanged one set of creditors for another. In the first bailout in 2010 it was mostly the private banks of Europe to which it was indebted. In the second bailout, the pan-European state institutions (sometimes called the Troika: (European Commission, European Central Bank, International Monetary Fund) stepped in and provided loans for Greece to bailout its private creditors. In fact, Greece never saw the money. The Troika paid off the private investors and in effect transferred their debt to Troika balance sheets. Greece had to make even larger payments–this time to the Troika. The Troika then paid off the banks. (German Institute studies show that 95% of all the payments on debt by Greece to the Troika eventually were redistributed by the Troika to the northern European banks). The Troika thus served as the ‘middleman’ bill collector for the bankers. The Eurozone’s double dip recession of 2011-13 exacerbated Greece’s debt still further, requiring it to borrow even more in 2015-18 to pay the Troika debt in incurred in 2012-15 (that was incurred to pay the 2010 private debt). So Greece was further indebted in 2015-18 to finance and pay for the debt in incurred in 2012 to pay for the debt it incurred in 2010. Each time a new debt deal was agreed to, the debt was in effect ‘rolled over’. Whether paid through the Troika or directly, the payments always end up in the private Euro banks. 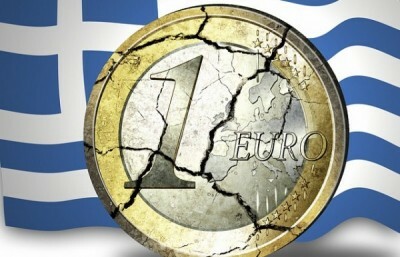 Now the press ‘spin’ is that Greece is emerging from this raising new debt to pay for past debt. But not so. All that’s changed is that Greece can now borrow (i.e. more debt) from private investors once again, as it had before 2012. This time, it will borrow from the private sector (bond speculators, hedge funds, other vulture capitalists) in order to pay off the Troika for past debt. How does Greece pay the interest on the debt? From austerity imposed on its citizens, especially workers, small businesses, the poor. The Greek state and the Greek central bank (a mere appendage of the European Central Bank under the Euro) collect the surplus managed by the Greek-Syriza government (from tax hikes, pension cuts, wage cuts, sale of national industries–i.e. austerity). The Greek central bankers then make the interest payments on the debt from loans from the Troika (who pay the bankers). Now Greece can continue paying the Troika and bankers indirectly, while it borrows anew from private investors once again and pays them interest on the new debt as well. Nothing changes for the austerity measures. Austerity remains. Greek unemployment still remains at depression levels at 19.5% Employment levels are still 17.5% below pre-depression period highs. Greek wages continue to stagnate: Skilled workers’ wages have been cut 35%, unskilled cut 31%, and minimum wages reduced by 22%. Pensions continue to be cut and age eligibility to collect a pension raised by 10 years. Taxes have been raised on workers and small businesses alike. It’s still austerity by another name. And they call it recovery! The only change is who is the bill collector? The Troika? The new private lenders? Both? The answer is now both. The Troika moves to the sidelines and let’s the private vulture investors once again step in to loan Greece money (to pay the Troika and their Euro banks), while the vultures once again charge interest on top of the new debt they extend to Greece. 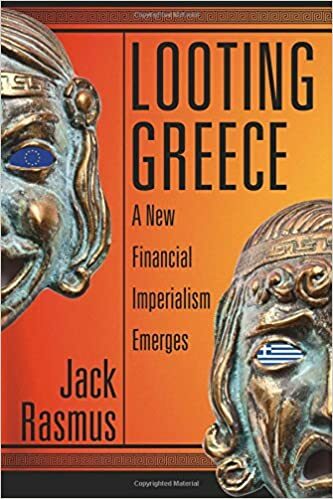 In my 2016 book, ‘Looting Greece: A New Financial Imperialism Emerges’, Clarity Press, I described this new form of exploitation on a national scale, in which State institutions and apparatuses now play in the 21st century an increasing direct role in extracting surplus and value from workers and small business classes on behalf of the big capitalist banks. This is a form of imperialism different from pre-20th century and early 20th century explanations (influenced heavily by Lenin and Hilferding). In the concluding chapter the historical evolution of imperialism from 19th to 21st century are discussed, and the various debates. Greece is the microcosm case example of the new form.